We are delighted to announce the publication of Véronique Fromanger’s long awaited revised version of her iconic catalogue raisonné on Rembrandt Bugatti, for the first time in English. We worked closely with Madame Fromanger on the original version launched in 2009 and this new version includes updated information on the history of the editions as well as several previously unpublished models. 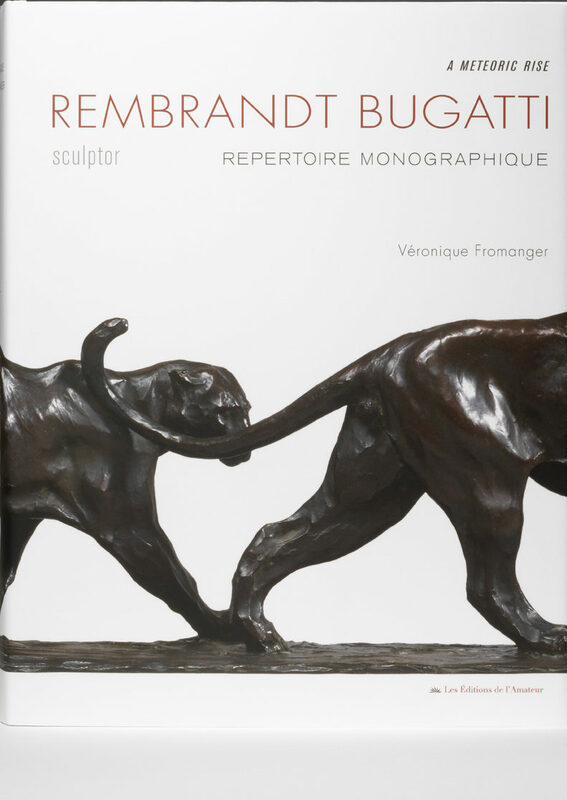 The catalogue raisonné section of the book is prefaced with 250 pages of illuminating text and archive photographs which offers a rare insight into the character, working practices and life of this exceptional sculptor. The new version coincides with the centenary of Rembrandt’s Bugatti’s death.